Air101: Air Canada Rouge is five years old! Air Canada Rouge is five years old! Air Canada Rouge is celebrating its fifth birthday! From its first flight on Canada Day 2013, Air Canada's leisure carrier has grown from four aircraft to more than 50 and expanded to over 100 routes on five continents. The carrier has flown more than 25 million customers, and apparently directly created 2,000 jobs for Canadians. "In five short years Air Canada Rouge has established itself as an integral part of our Air Canada family by delivering an excellent customer experience in key leisure markets and in helping achieve our strategic business objectives. It allows us to offer travellers a much greater variety of attractive destinations while enabling us to successfully compete in an evolving industry. In doing so, it has exceeded all our expectations," said Benjamin Smith, President, Airlines and Chief Operating Officer, at Air Canada. "I commend our team at Air Canada Rouge for their devotion to making every flight memorable and I thank our customers for entrusting us with their holiday plans by choosing to fly with Air Canada Rouge." 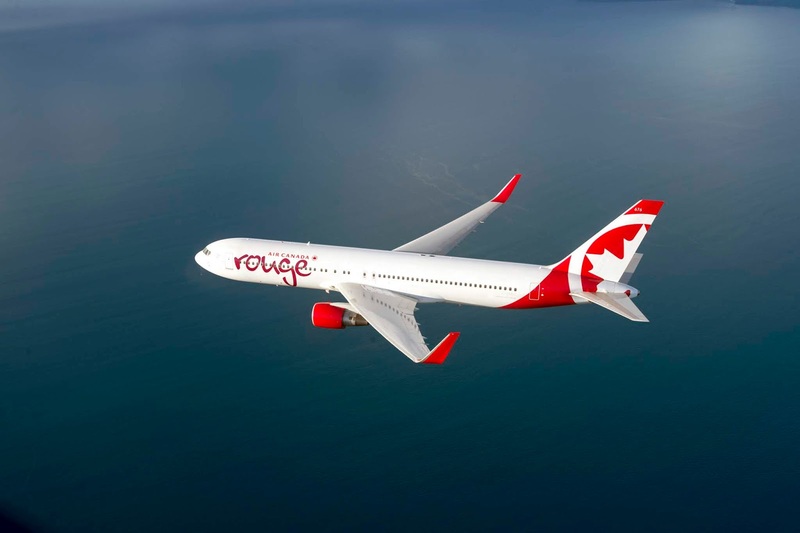 For summer 2018, Air Canada Rouge has added more exciting international and domestic routes, including: Toronto and Montreal to Bucharest; Toronto to Porto and Zagreb; Toronto to Nanaimo and Kamloops, B.C. ; Montreal to Lisbon and Montreal to Victoria, B.C. Launched on July 1, 2013, Air Canada Rouge has continually refined its services for customers, including upgrades to its streaming in-flight entertainment system, new onboard food options and enhancements to the Premium Rouge cabin. Air Canada Rouge has also begun offering high-speed, satellite internet aboard its aircraft, giving customers access to the fastest internet service on a Canadian airline. Fleet of 53 aircraft (22 Airbus A319s, 6 Airbus A321s and 25 Boeing 767s).